Blizzard and Valve are going to court over DOTA. DOTA - Defense of the Ancients - originally began life as a mod for Warcraft 3 all the way back in 2005, and has since grown into a serious gaming phenomenon, showing up at tournaments around the world including Blizzard's official, sort-of annual BlizzCon. A sequel, Dota 2, is in the works, but in an odd twist it's being developed by Valve, which has also made a move to trademark the name. That doesn't sit too well with Blizzard, which has officially registered its opposition to Valve's application with the U.S. Patent and Trademark Office. "The DOTA mark has become firmly associated in the mind of consumers with Blizzard, including to signify a highly popular scenario or variant of one of Blizzard's best-selling computer games, Warcraft 3. Over the past seven years, the mark DOTA has been used exclusively in connection with Blizzard and its products, namely Warcraft 3," Blizzard says in its complaint. "In contrast to Blizzard, Applicant Valve Corporation ('Valve') has never used the mark DOTA in connection with any product or service that currently is available to the public," it continues. 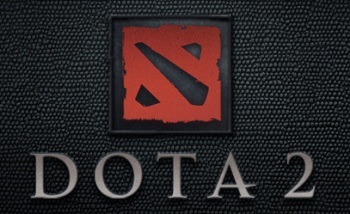 "By attempting to register the mark DOTA, Valve seeks to appropriate the more than seven years of goodwill that Blizzard has developed in the mark DOTA and in its Warcraft 3 computer game and take for itself a name that has come to signify the product of years of time and energy expended by Blizzard and by fans of Warcraft 3. Valve has no right to the registration it seeks. If such registration is issued, it not only will damage Blizzard, but also the legions of Blizzard fans that have worked for years with Blizzard and its products, including by causing consumers to falsely believe that Valve's products are affiliated, sponsored or endorsed by Blizzard and are related or connected to Warcraft 3. " The complaint was originally filed in November 2011 but barring some sort of settlement, the dispute will drag on for a long while yet. The initial disclosure period ends on February 24, while expert disclosures aren't due until June 23. The discovery period wraps up near the end of July; pretrial disclosures begin in September and the trial itself could run into 2013. Blizzard makes several points in support of its opposition, not least of which being that DOTA as it stands "cannot be opened, accessed, played, or used in any matter" without Warcraft 3. Whether or not that's enough for a court to deny Valve's application remains to be seen, but I wouldn't be surprised to see this get ugly in a hurry - and I bet Blizzard is really wishing it had done this first. You know, I know that people are going to complain about Blizzard because VALVe can do no wrong, but I think that Blizzard is in the right here. I mean...DotA is their thing. I don't think it ever wasn't their thing. Speaking as someone who likes Valve, I have no clue how Valve thought they'd get away with this in the first place. This seems kinda like BS to me. Blizzard doesn't own DotA. It's a mod. It's the property of the mod's creator(s). If I make guitars, I don't own the music that other people write while using my guitar. If Blizzard's in the right, then Epic is owed some dough for Red Orchestra given that it was conceived and originally only playable on Unreal Tournament. Valve just knows how to recognize good modding, so they pay people who make good mods to make good games. Blizzard's just being an idiot, and trying to prevent Valve from releasing their game as part of an existing IP. I should point out that Red Orchestra and RO2 were both made by Tripwire Interactive. VALVe didn't make DotA, just DotA 2. Valve vs Blizzard! The two companies most notorious for long delays in a legal battle. This may be the longest court case ever. We will probably see the conclusion to this battle after Episode 4. Any excuse to delay Half Life3 eh Newell? Right, but IceFrog, the last official developer behind DotA, is employed by Valve to make DotA 2. Therefore, it's about as official as it can be. The way I see it, Blizzard is planning to release a Blizzard DOTA mod for Starcraft II and doesn't want Valve to benefit from any potential positive IP development that might cause. I thought Blizzard's original stance was that since it was a Community game, Valve had no right to use it. Now they're saying that it is their right to use as they see fit? Anyways, Icefrog works for Valve now, and none of the other modders have come forward to object. Is this any different than when Valve hired the Counterstrike developers to make an official version of their mod? The only thing that Blizzard has is the fact that it was first played on the Warcraft 3 engine. What about Team Fortress? It was a Quake and Half Life mod, and nobody bitched like this when Valve hired them too. Blizzard NEVER owned DotA. It was a mod made on Warcraft III by fans, and Blizzard never decided to buy it from the modders or copyright it for that matter. When the original team split (some of them going to RIOT and some of them ending up with Valve eventually) it remained a fan made mod. When Valve saw a chance to make it, they snagged up the Copyright (again, Blizzard NEVER filled for it and never OWNED it) they then had the rights. Blizzard is just miffed that they never got around buying out the modders. Hell, RIOT already tried to stop this because some of the old DotA programmers are with League and it is pretty much the same damn thing with a different name. I didn't see id going after Valve for Team Fortress Classic/Team Fortress 2. Yes, it was a mod for Quake before it was a mod for Half-Life. I really don't see how they feel they own DOTA, since it was a fan made mod. You don't own fan made content unless you buy it from the person who made it. You own the software it was programmed for, and if you're a douche then you can stop distribution of the mod, but you don't own the idea. And that's what this is, an idea that a company thought was worth buying and producing. Now if Valve steals engine code from Warcraft 3 when they make it, then Blizzard has a case. But it would be a completely different case. Blizzard doesn't have a leg to stand on, the game wasn't made by them, or copyrighted by them. The people who made it can do whatever they want with it. Blizzard should've bought it from the creators and copyrighted the name if it was so damn important to them. Sounds like they're pissed because they lost free publicity and popularity from something they had nothing to do with. Not anywhere that I can see. Everything in the claim points specifically to, "They have no right to trademark it, it's not their product, it's not associated with their products." not "It only belongs to us." Where was Blizz when LOL came out? Or Demigod? Or any of the other bazillion clones? They were too busy examining the inside of their colon to see this coming, and now they're crying because they are too late. Deal with it. it wasn't, it's not, and it never will be. if there was some sort of clause in the WC3 terms of agreement that stated that everything a mod created belonged to blizzard, then they would have said that and blizzard would have an open and shut case, and valve would have no right. but that's not what they said, IS IT? "Valve seeks to appropriate the more than seven years of goodwill that Blizzard has developed in the mark DOTA and in its Warcraft 3 computer game and take for itself a name that has come to signify the product of years of time and energy expended by Blizzard and by fans of Warcraft 3." blizzard is throwing a legal hissy fit. they're upset that they're losing money on something the didn't think of and they want to waste time and money trying shut down a competitor. they had seven years -SEVEN- to apply for a trademark and work with the creators of dota to expand on and even improve the game, but they didn't. SO TOUGH TIDDLYWINKS. I don't know what Blizzard thinks it's doing... this is like Microsoft bitching that an author who previously wrote novels in MS Word now writes the sequels for Google. Blizzard: You have no DOTA trademarks, and you have no claim to the DOTA intellectual property. The only conclusion I can come to is you're just drumming up controversy for your own DOTA Starcraft II mod, which just makes you jackasses. The way I see it, if Blizzard had decided they wanted to trademark it, they would have. Right now, all I'm seeing is them being pissed off that someone bought out the developers first. And since Valve bought out the last developer, and none of the other modders have come forward to object, then Blizzard should have no right to tell Valve to stop. I can't see Blizzards motive in this... it was made in their engine, but it's a concept that is not theirs. They have no right to it and apparently had no desire to make use of it. One of the guys involved in making DotA is hired by Valve and valve decides to bank on that as a legitimate asset for Trademarking/Copyrighting the name and possibly the concepts specific to their DotA 2. It was fair game to be honest, and unless other members of the original DotA crew speak out (if they haven't already) I can see Valve having solid footing for this case, while blizzard struggles on shaky claims. I'm with everyone else who says Blizz doesn't have a claim to this. The game was a mod, so unless Blizz at some point applied for trademark, it belonged to nobody but the creators of said mod. That is until Valve picked it up. Now, I've not read the EULA on Warcraft/Starcraft mods... so there may be some clause in there giving them the right to say "It was made for our game, so it belongs to us" I don't know. Also, I'm not sure if by "trademark the name" we are talking about DOTA as a whole, or just their "DOTA 2" name. The biggest question would be this: What hand is the original team responsible for creating DOTA playing in this? Are they the developing the DOTA 2 title for Valve? Did they give Valve written permission to trademark their title in exchange for a share? Are their bodies frozen in that industrial-sized meat locker Valve got installed recently?? In the end, its not really Valve OR Blizzard's call on this, as neither of them are responsible for the original title. But I hate to say ... I hope Blizzard does not win ... as if they do, it will create a precedent, allowing other companies to go "Hey, that MOD was on OUR game first, you can't trademark it for yours!" Come on, DOTA team, speak up. They're messing with your baby! And where do you see that Blizzard has applied to trademark it? They're objecting to Valve's attempt, not making their own. If they prevent Valve from trademarking it, that doesn't mean that Valve can't use it, just that Valve can't stop other people from using it. Essentially, they're fighting to have it public domain still. While you must admittedly use Warcraft 3 to play DotA, I don't feel that there is any actual connection to DotA and Warcraft branding. They do not own the rights to DotA as it stands now. It's arguable whether they should or not at this point. I think they shot themselves in the foot by saying there would be confusion between DOTA2 and Blizzard. That is simply untrue and they are going to have to prove it in court. I recall this being one of the main points of contention on the whole Elder Scrolls/Scrolls debacle between Mojang and Bethesda. Blizzard has demonstrated no interest in using DotA till someone else was trying to use it. This is Blizzards MO though. Fans want something and they don't even attempt to give it to them till someone else does it first. Just look at the MMO features that were introduced to WoW after Rift came out. While I admit I've never studied Trademark & Copyright law, I think Blizzard have a strong case. From what I can tell their argument boils down to "When people see DOTA, they think Warcraft III and so think of Blizzard. When people see DOTA2, they will think its a Blizzard product and so buy it, when in fact its by Valve. Therefore Valve are making money from Blizzards name." I have to say when DOTA2 was first announced I thought it was gonna be a Blizzard game and I was shocked that Valve would be stupid enough to name their game DOTA2 instead of the safer "DOTA Clone: Made by original team". Its probably because Valve's legal team need a whack round the head , but the conspiracy theorist in me thinks they're spoiling for a fight and hoping the precedent finds in their favour. From what I've read it's the trade mark name and association. I'm still conflicted here because I know both DOTA and DOTA2 in the since I've played and participated in both communities. I do want DOTA 2 to be made though. I don't see id Software suing Valve, complaining that Team Fortress began as a Quake mod. Valve is clearly trying to steal the name, but claiming that it belongs to Blizzard is equally ludicrous, it is simply in the public domain (noone can use it as their own). If courts actually ran on a justice system rather then money this would be a non issue from the minute the case was presented. Blizzard has no more claim to the DOTA trademark than Valve does. In fact, the one most in the right here would be Riot Games (the developers of popular MOBA League Of Legends, some of who worked on DOTA) who want the DOTA trademark to stay open source. MOBA is a terrible term for the game that Dota and any of it's variants are. Multiplayer Online Battle Arena? Considering there are a ton of games that are multiplayer, online, have battle, and could be considered to be in an arena setting... it's too vague. Action RTS is dumb as well. OT: Dota was a community thing. I like Valve and wouldn't think it's terrible that they get the IP if someone does, but I'd prefer it stay a community thing. I might support Blizzard, but they did not make the original DotA, and the man who made it's most popular version is an employee of Valve. So really, Valve has the more legitimate claim here, in my personal opinion. I don't thing either company should be allowed to say they own DOTA. Though if I have to pick a side I will go with Blizzard. I will never forgive Valve if they win legal battle and I will be upset with Blizzard if they win as well. Small but rather important point is that the Warcraft3 Eula says that the anything created by the tools provided to create mods remain the property of Blizzard. There is nothing unique in this Bethesda, Epic Games and Crytek all do the same thing about mods and tools. Valve have not denied that the eula gives blizzard ownership over content but denies that Blizzard own the name. Which is different thing entirely. Red Orchestra, as matter of record, was a competition winner for mods run by Epic. The prize was a full license enabling commercial distribution, waving their own rights and $1 million. Epic have the same policy as blizzard when it comes to mods. In the case of Red Orchestra, Epic effectively created a new company working on exactly the same as all the other commercial users of the U3 engine. Blizzard may have the more valid case. The creators of DoTA and variations agreed to give Blizzard some of the rights to the games when they created the mods in Blizzard's Software. Just to clear here, Blizzard is not going after the trademark, they are only stopping Valve from claiming it.